Coconut Oil: What’s All the Buzz? From weight loss to memory to cholesterol regulation to everyday skin care, coconut oil has created quite the buzz in recent years about its effectiveness to address many common concerns. This may be surprising to some as coconut oil was historically labelled as an unhealthy, saturated oil, especially with respect to ischemic heart disease. While coconut oil is saturated, it is actually a very versatile, plant-based, health-promoting oil. Not only does coconut itself contain potent antioxidants, vitamins and minerals, but the oil also contains fats that are more easily digested by the body. This article will discuss the therapeutics of coconut oil in cardiovascular health, including cholesterol regulation and weight management, as well as neurological concerns like cognitive deficits as seen in conditions like Alzheimer’s disease. Later, it will discuss the efficacy of coconut oil for skin concerns, and will provide evidence on effective dosing. Coconut (Cocos nucifera) is also called the “tree of life” and continues to be a staple oil for several cultures worldwide. Coconut oil contains lauric acid, a medium-chain triglyceride (MCT), which is a very important reason for why coconut oil is great for weight loss. 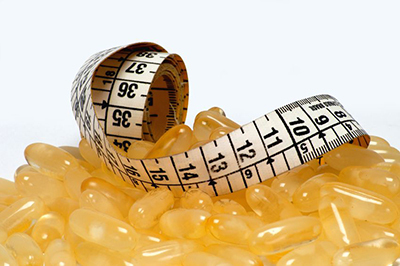 Because MCTs are metabolized fairly quickly by our bodies, there is less storage in the form of fat. In a 2012 systematic review, one study found that MCTs increased fat loss in overweight men, when compared to long-chain fatty acids. The mechanism behind this effect is that MCTs undergo increased beta-oxidation (fat breakdown) and energy expenditure than long-chain triglycerides; the latter of which tend to be absorbed into lymphatic circulation then stored as fat. In another study, coconut oil was found not only to reduce waist circumference in women, but it also increased beneficial HDL-cholesterol compared to soybean oil. These women also experienced a decrease in BMI and LDL:HDL ratio, which together promote overall health. The importance of these results helped to debunk the idea that coconut oil promotes dyslipidemia, which in fact it does not. In addition, the study showed that coconut oil is also quite helpful in diminishing central adiposity, which comes with its own slew of other health concerns. In central adiposity, fat tends to accumulate over vital organs like our livers (fatty liver disease) that can alter our bodies’ ability to detoxify and cleanse itself. Moreover, because abdominal fat tends to be more difficult to lose (it surrounds vital visceral organs), another concern is dysregulation of cholesterol that tends to go hand-in-hand with ischemic cardiovascular concerns. As a result, the risk of heart attack and stroke increases. 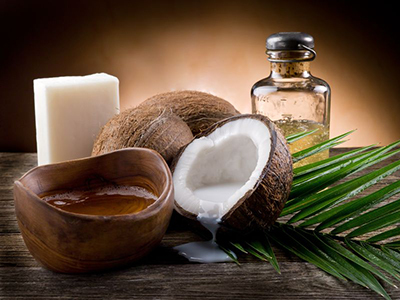 Traditional societies have consumed coconut oil for a long time. For instance, in India, the diet is usually low in fat, and yet coronary heart disease (CHD) appears to be rampant. 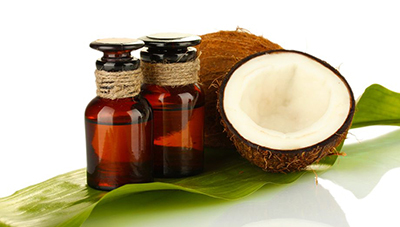 One study tried to elucidate whether higher rates of CHD would result from consumption of coconut oil. As a result, they found that coconut oil could not to be linked to the high levels of CHD in the population. In fact, why the prevalence of cardiovascular concerns in this society seems so large is still under investigation. My suspicion is that in this society, supplementation with coconut oil would not make a difference to the outcome of the study, because it is part of their lifestyle and their diet is not deficient in it, at least in Western India. Compare that to North America, where our diet is deficient in health-promoting oils; in this context, supplementation with coconut oil would have a far greater outcome on reducing the risk of CHD, because it’s something our body needs but doesn’t have often. Compare this to other countries, like Malaysia or the Philippines, where coconut oil is a staple. To illustrate this point, in a 2011 study, 45 healthy adults were subjected to supple­mentation with palm oil, coconut oil, or olive oil. After consumption of these oils, the researchers measured levels of inflammatory markers in the body as indicators of cardiovascular disease (CVD). The fats comprised 30% of the diet. They found that there were no significant differences among the groups, except for the fact that coconut oil mildly decreased certain lipoproteins after the meal. None of the oils decreased inflammatory markers, leading the investigators to conclude that coconut oil had no effect in preventing the risk of cardiovascular disease. Again this is not true, because they failed to take into consideration that their diets were already well-supplied with coconut oil in the first place and the subjects already had suitable baseline health! Coconut oil benefits overall cardiovascular health, but the significance of its effects is better seen when it is added to a diet that is deficient in it. If not, the effects of it will not drastically improve outcomes, but it definitely won’t hurt either. Coconut oil has several other uses, especially where neurological processes are concerned. For instance, it has been implicated to play a role in Alzheimer’s disease and epilepsy. 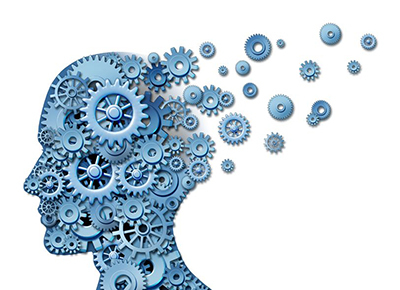 Alzheimer’s disease is the most common type of dementia, and usually presents in the 6th decade of life. This neurological disease tends to affect short-term memory and as it progresses, it can affect daily activities as well. It is also common for a person to experience confusion, irritability, mood swings, and sometimes violent behavior, as the disease progresses. In one study, coconut oil was used as a medical food to help alleviate the cognitive decline seen in Alzheimer’s disease. In combination with pharmacologic agents, medium-chain triglycerides (MCTs) were found to significantly improve cognitive function scores. However, since the reason for the cognitive decline is poorly understood, how coconut oil is helping to improve cognition is also not well understood. Other studies found that if MCTs were given to Alzheimer’s patients, there was an improvement in cognitive function scores as well as paragraph recall. Moreover, providing MCTs helped in yet another study to help with dementia and improve quality of life. Although the mechanism is not quite clear, it is possible that MCTs are being converted to ketones which, instead of glucose, are used as fuel for the brain. The idea here is that Alzheimer’s tends to come with a decrease in the brain’s glucose metabolism, that leads to ketosis. The resulting ketotic state may in turn have some benefit in improving cognition in Alzheimer’s. Along the same lines, MCTs have also been used to help with epilepsy. In epilepsy, the brain’s neurons fire abnormally, and so electrochemical activity of the brain changes. This presents as changes in behavior to muscle spasms, or even full-body convulsions. The ketogenic diet is a high-fat, low-calorie option that has been used to help treat epilepsy. Here, the diet is trying to produce a state of ketosis, with the hope of seeing benefit to neurological functioning. Over time, the diet has become modified and now contains MCTs, which have been found to show significant benefit. Specifically, in children, this MCT ketogenic diet was helpful in reducing seizures, and was comparable to the classical ketogenic diet. The role of coconut oil doesn’t just stop at the nervous system. Coconut oil has also shown good results with dry skin, and is beneficial for damaged hair. Coconut oil protects against protein loss, because it is able to penetrate the hair shaft, unlike sunflower and mineral oils. It is also used in many cosmetic formulations, and can be used as a base oil in insect-repellent formulas. I even use it as a base for my homemade deodorant. Again, coconut oil is quite versatile and effective. As we’ve seen so far, coconut oil can be beneficial for a wide range of concerns, from cardiovascular health to neurological support, weight management, and even everyday cosmetic needs. The medium-chain triglycerides in coconut oil are readily absorbed by the body, and serve multiple purposes for our bodies. Although coconut oil has been historically used by several cultures, the evidence for its potential for use is still growing. It is quite safe to use, and can be combined with other pharmacologic agents to produce added benefits for therapy. It is considered Generally Recognized as Safe (GRAS) by the U.S. Food and Drug Administration (FDA), and the evidence suggests that there is no “reasonable ground to suspect a hazard to the public” for the use of coconut oil. Tolerated well orally. Most common side effects include diarrhea and gastrointestinal upset due to the high oil content. Although very rare, there is potential for allergic reactions/sensitivities to the coconut itself. In conclusion, coconut oil is a safe and effective intervention for multiple health concerns. It can be used internally and topically, and is considered safe in children and for pregnancy and lactation. It helps regulate heart health and cholesterol metabolism, and has protective effects on the nervous system. There are no known drug or food interactions, and all it takes to be on the way to better health is two tablespoons daily! Amarasiri, W.A. and A.D. Dissanayake. “Coconut fats.” The Ceylon Medical Journal Vol. 51, No. 2 (2006): 47–51. Adams, W. and D.E. Bratt. “Young coconut water for home rehydration in children with mild gastroenteritis.” Tropical and Geographical Medicine Vol. 44, No. 1–2 (1992): 149–153. Rego Costa, A.C., W.L. Rosado, and M. Soares-Mota. “Influence of the dietary intake of medium chain triglycerides on body composition, energy expenditure and satiety: a systematic review.” Nutrición Hospitalaria Vol. 27, No. 1 (2012): 103–108. St-Onge, M.P., et al. “Medium-chain triglycerides increase energy expenditure and decrease adiposity in overweight men.” Obesity Research Vol. 11, No. 3 (2003): 395–402. Assuncao, M.L., et al. “Effects of dietary coconut oil on the biochemical and anthropometric profiles of women presenting abdominal obesity.” Lipids Vol. 44, No. 7 (2009): 593–601. Lawrence, G.D. “Dietary fats and health: dietary recommendations in the context of scientific evidence.” Advances in Nutrition Vol. 4, No. 3 (2013): 394–302. Cox, C., et al. “Effects of dietary coconut oil, butter and safflower oil on plasma lipids, lipoproteins and lathosterol levels.” European Journal of Clinical Nutrition Vol. 52, No. 9 (1998): 650–654. Salway, J.G. Metabolism at a glance, 3rd ed. Massachussetts: Blackwell Publishing Ltd., 2004. Kumar, P.D. “The role of coconut and coconut oil in coronary heart disease in Kerala, south India.” Tropical Doctor Vol. 27, No. 4 (1997): 215–217. Voon, P.T., et al. “Diets high in palmitic acid (16:0), lauric and myristic acids (12:0 + 14:0), or oleic acid (18:1) do not alter postprandial or fasting plasma homocysteine and inflammatory markers in healthy Malaysian adults.” The American Journal of Clinical Nutrition Vol. 94, No. 6 (2011): 1451–1457. Galvin, J.E. “Optimizing diagnosis and management in mild-to-moderate Alzheimer’s disease.” Neurodegenerative Disease Management Vol. 2, No. 3 (2012): 291–304. Reger, M.A., et al. “Effects of beta-hydroxybutyrate on cognition in memory-impaired adults.” Neurobiology of Aging Vol. 25, No. 3 (2004): 311–314. Henderson, S.T., et al. “Study of the ketogenic agent AC‑1202 in mild to moderate Alzheimer’s disease: a randomized, double-blind, placebo-controlled, multicenter trial.” Nutrition and Metabolism Vol. 6, No. 31 (2009): 6–31. Newport, M.T. “Caregiver reports following dietary intervention with medium chain fatty acids in 60 persons with dementia.” International symposium of dietary interventions for epilepsy and other neurologic diseases. Edinburgh, Scotland, October 2010. Neal, E.G. and J.H. Cross. “Efficacy of dietary treatments for epilepsy.” Journal of Human Nutrition and Dietetics Vol. 23, No. 2 (2010): 113–119. Neal, E.G., et al. “A randomized trial of classical and medium-chain triglyceride ketogenic diets in the treatment of childhood epilepsy.” Epilepsia Vol. 50, No. 5 (2009): 1109–1117. Agero, A.L. and V.M. Verallo-Rowell. “A randomized double-blind controlled trial comparing extra virgin coconut oil with mineral oil as a moisturizer for mild to moderate xerosis.” Dermatitis Vol. 15, No. 3 (2004): 109–116. Rele, A.S. and R.B. Mohile. “Effect of mineral oil, sunflower oil, and coconut oil on prevention of hair damage.” Journal of Cosmetic Science Vol. 54, No. 2 (2003): 175–192. Sharma, S.K., V.K. Dua, and V.P. Sharma. “Field studies on the mosquito repellent action of neem oil.” The Southeast Asian Journal of Tropical Medicine and Public Health Vol. 26, No. 1 (1995): 180–182. Teuber, S.S. and W.R. Peterson. “Systemic allergic reaction to coconut (Cocos nucifera) in 2 subjects with hypersensitivity to tree nut and demonstration of cross-reactivity to legumin-like seed storage proteins: new coconut and walnut food allergens.” The Journal of Allergy and Clinical Immunology Vol. 103, No. 6 (1999): 1180–1185.